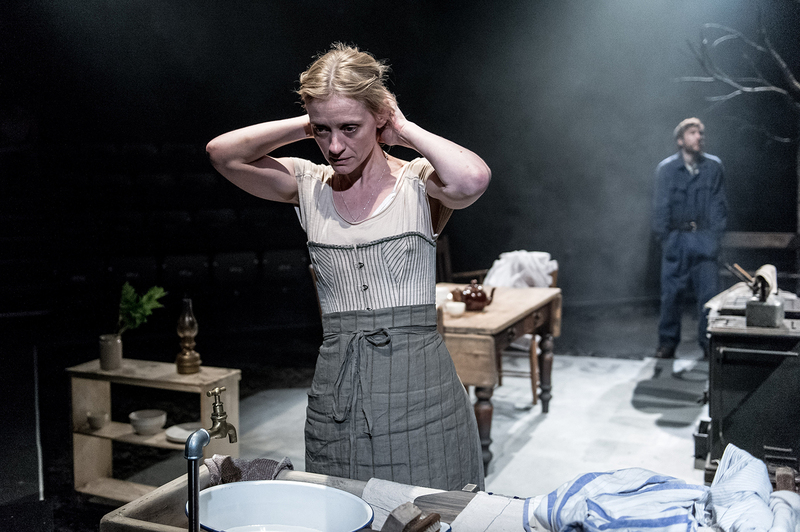 Anne-Marie Duff is to make her debut at Manchester's Royal Exchange theatre in a collection of plays by D.H. Lawrence. 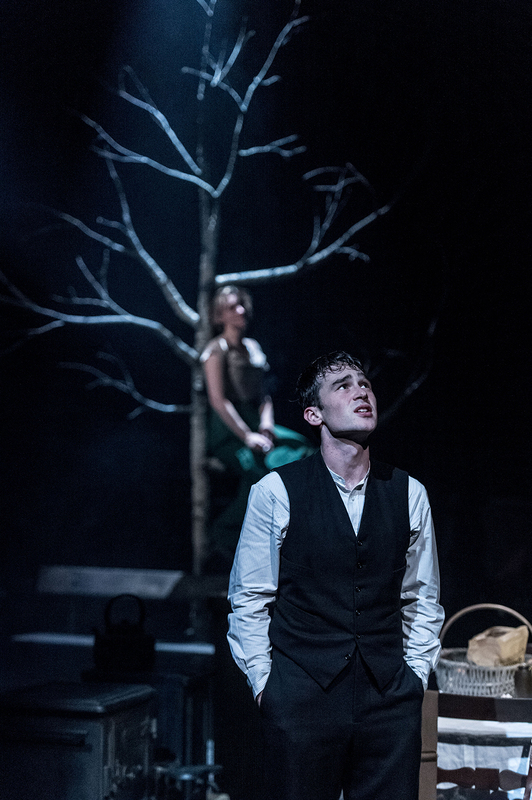 Husbands & Sons is a co-production with the National Theatre (NT), where it opened in October. The evening consists of three plays: The Daughter-in-law, A Collier's Friday Night and The Widowing of Mrs Holroyd. The dramas have been adapted by Ben Power, so that they are played simultaneously. Anne-Marie Duff as Lizzie Holroyd. Photo by Manuel Harlan. Husbands & Sons is set in Lawrence's home territory of the village of Eastwood on the border of Derbyshire and Nottinghamshire. 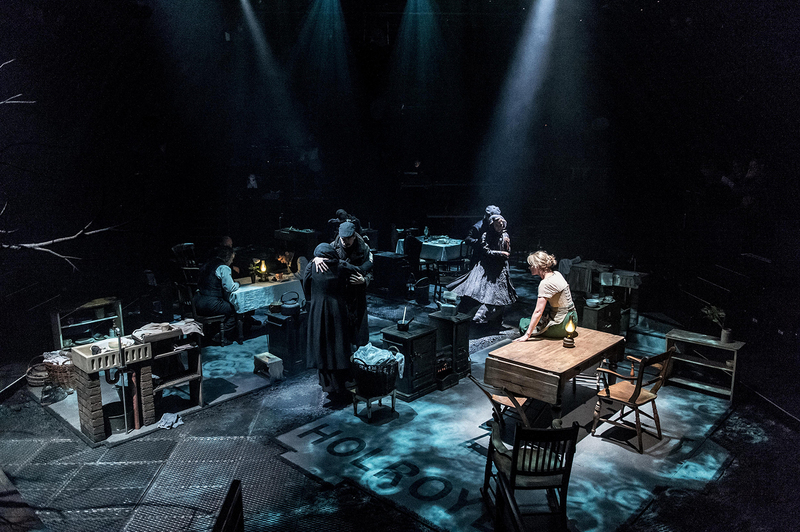 It focuses on the community around the great Brinsley pit, where the women of the village struggle to hold their families and souls together. Lawrence was born in Eastwood in 1885. His father was a collier but Lawrence's mother was determined that her son would not follow his father to a working life in the pit. Her wish was granted with Lawrence winning scholarships to both Nottingham High School and Nottingham University College. This made him him one of the very few working class children at the time to have an education at and beyond the secondary level. His employment included working as a clerk and teacher before both illness, and becoming a published author, meant that he could devote his days to writing. He is most famous as a poet and novelist, with his best known novels including Sons & Lovers, The Rainbow and Lady Chatterley's Lover. The latter was the subject of a landmark obscenity trial in 1960, in which the publishers, Penguin, were acquitted. Johnny Gibbon as Ernest Lambert. Photo by Manuel Harlan. In addition to Husbands & Sons, Anne-Marie Duff's stage work includes Saint Joan, by George Bernard Shaw, for which she won Best Actress at the Evening Standard and Critics' Theatre Awards, 2008. Her TV work includes Elizabeth the Virgin Queen and Fiona Gallagher in Shameless. She was recently seen in the feature film Suffragette. The cast also includes Joe Armstrong, who performed at the Royal Exchange in August Strindberg's Miss Julie, in 2012, alongside Maxine Peake. His TV credits include property developer and drug dealer Ashley Cowgill in the BBC drama Happy Valley. Marianne Elliott is the director of Husbands & Sons, both at the National Theatre and the Royal Exchange. She is a former Artistic Director at the Royal Exchange. She is an Associate Director at the National Theatre and directed Anne-Marie Duff in Saint Joan. In 2015 Ben Power was appointed deputy artistic director of the National Theatre. In 2013, he commissioned and programmed a year of work in the NT's temporary theatre, The Shed. His own work in The Shed includes The Hush with musician Matthew Herbert and an adaptation of Ross Collins' The Elephantom. His Dramaturgy for the NT includes The Doctor's Dilemma by George Bernard Shaw and Shakespeare's, Timon of Athens, amongst others. His Shakespeare related work also includes screenplays for the forthcoming The Hollow Crown: The Wars of the Roses for the BBC. For the first series of The Hollow Crown, Ben Power adapted Henry V, and Richard II which won the Royal Television Society Award for Best Drama and was nominated for a Bafta.